We have been working on technology development in areas such as Virtual Reality and Mixed Reality. These technologies can also be used in entertainment, and in the future we would like to deliver various technologies and services developed by our company through Miecle. Shochiku is a film maker and Kabuki performer and Deportare Partners is a strong company in the sports field. 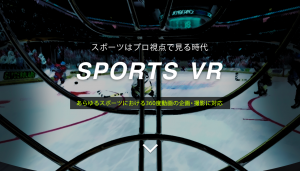 There is a wide range of possibilities for developing the possibilities of VR and MR, and I am pleased to be able to work together in three companies. Please look forward to Miecle Corporation in the future! Support our social medias, will you. Copyright © 2018 Kadinche Inc. All rights reserved.